Vintage furniture has a special classic charm. Vintage is a word that refers to anything that is old yet still beautiful, charming, tasty, or expensive. When it comes to furniture and other household items, vintage usually means these items are about 30 to 100 years old. In order to choose vintage furniture of the highest quality, it is crucial that you understand perfectly well how a specific piece truly reflects the era it represents. This means that a piece that is supposed to be manufactured 60 years ago should actually look as if it was the kind of furniture that was seen in households of the 50s. This means that vintage replicas should certainly be as beautifully classic as the original. A good 30s furniture piece should have the Art Deco look with a few touches of French designs. This means that if you like the look of the 30s, you should look for pieces made of Depression glass and lacquered wood. Popular 1940s furniture sets include lounge chairs that were more commonly known as the Charles Eames chairs. Metal patio sets were also hugely popular during this era, as were classic phonographs and antique porcelain enamel chairs and table sets. 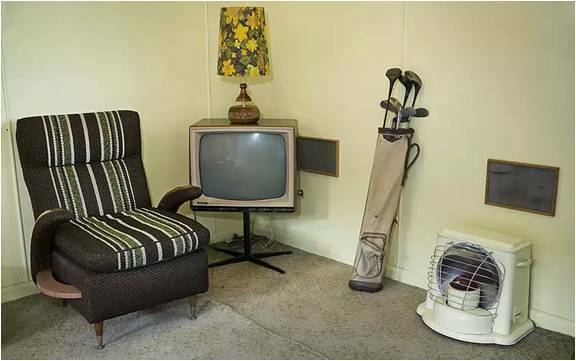 Furniture of the 1950s is usually brightly coloured, and kitchen sets during this era were designed like classic diners. So you may see bar stools and chrome tables if you are searching for 1950s pieces. During the 1960s, most pieces still had the influence of the 1950s, like the chrome-plated tables and chairs. Moroccan rugs also invaded this era, and most homes during this time were decorated in what was known then as the modern space-age décor. Vintage Industrial furniture dealers have wide choices of classic furniture pieces. Vintage furnishings should also be well crafted and built with high-quality and sturdy materials. Therefore, it is necessary to be well informed. If you have no idea about materials and designs, it is best to do a little research first. If you want authentic vintage furniture, your best option is to go to garage sales or auction houses. Going to garage sales is a cheap way to get vintage furniture, but they may sell furnishings that have not been restored so you should prepare yourself to find some unattractive pieces. Auction houses will surely display restored pieces, but they may also be expensive. In order to ensure that you will be getting high-quality vintage furniture, it is best that you find a reputable dealer. A vintage furniture dealer has a good list of the items they sell. They will have an impressive-looking website that showcases the items they are selling, and they can guarantee the excellence of the materials and the manufacturing quality of each piece they sell. Vintage furniture dealers may charge more than used item stores, but you can be assured that each piece will be in much better condition. Piece selection is also a lot easier when dealing with a professional dealer as they can provide you with a wide variety of vintage choices that fit your particular taste, theme, style, or design. Professional Vintage Industrial dealers are also well informed about all the designs and styles of any era; therefore, you can ask them for recommendations and you will surely get the best ones.